Jane Dawson joined UMMC in September 2007 as an accountant in our Warrenton office. Also she holds the title of QuickBooks ProAdvisor within the firm. 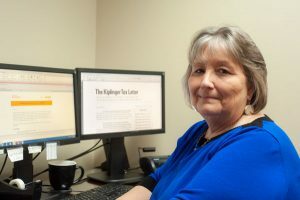 She has worked in the bookkeeping field for more than 45 years, including managing a medical office for more than 13 years. Jane lives in Culpeper, Virginia. She loves spending time with her family and nine grandchildren and two great grandchildren. Also, she also enjoys spending time with her church family and friends.